Give us your top six recruits from this class plus one sleeper. 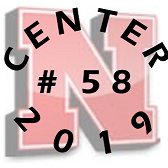 You can use whatever criteria you want to choose the guys you think will be the best/have the most impact in their time at Nebraska. Make sure to mark your choices above. Wandale Robinson- Becomes what we all expect him to be. Sleeper: Ethan Piper, I didn't know much about him at first and thought he might have been a reach. Still not sure where he ends up playing. But, pound for pound may be one of the most athletic players we got in 2019. * Also, Dylan Jordan would have been #1 on this list for me had he committed to Nebraska. Benhart- Advantage for him over our other OL guys is he has the ability to play early and also has a huge upside. Farmer- Rangy athlete that can play multiple spots. Hannah- Very good instincts and could play inside or outside. Newsome- Another long rangy kid that can cover and hit. Sleeper- The Pied Piper- Excited to see where they put this kid and watch him grow into that position. Missing on Jordan could have been a blessing in disguise. Buyer beware on that kid. Like the list overall. I like this list but had the safe pick of Ty vs Nelson thou I like the latter's attitude. This list was much harder for me than last year, which is a great thing - my list from 18' is below that I did last year in that thread. This year's is exceptionally tough. Especially with sleepers. Thompkins and Houston could be great, but left them out because of injuries. If healthy both could be impact players. Mills could be our starting RB next year, but he only has two years left. Nance is fast, but looks raw imo. Fritz and/or Anderson may become better than Benhart, but need more development. McCaffrey may end up starting at some point, but will be behind Martinez for a while. Piper is more athletic than his ranking and really is a sleeper. However, going with Nelson as my sleeper because of his attitude and motor. 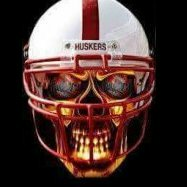 Due to Frost's offense going with quite a few skill position players in my top 6 as I think they will be given opportunities early on. I wouldn’t consider most people’s 7th person an actual sleeper. Probably not a bad thing. Sleeper: this is tough but I'm going Thompkins. If I could pick another sleeper it would be Luke McCaffery. I believe this class will be looked back on for the difference it made on defense. Yes a lot of this years kids will put up huge offensive numbers but that is expected now with Frost. A jump in production on defense will be more impressive, and more important to the team's success. Lots of defense on my list and many others. Hope that shows up in years to come. I like his tape about as much as I hate Banks defensive tape. I’m hoping like hell Banks eventually gets moved to the offense. Newsom, however, I really like as a defensive lineman. Great ability to play multiple gap techniques and blow by an offensive lineman. His tape has him inside, outside, in 2, 3, or 4 point stances. He shows ability to beat his man multiple ways, and very athletic moving down the line. I think he’s a guy that can be that true multiple front defender. His instincts are really good. It’s like he knows what the lineman wants to do and just beats him there. Great leverage, bats down a lot of balls, sheds well. I also thinks he just loves playing defense, and when I watch Banks tape next to his, that really sticks out. I like Ty a lot, too, but I wouldn’t be surprised in a few years if Newsom isn’t the better player. That’s not a shot at Ty, I just think Newsom with the right training has that kind of upside. I wish through two classes we had a bit better numbers on the defensive line, but this potential pairing is very exciting. I know there will be a top recruit that flames out. But, my confidence in this staff developing the top of the class is so high that there is no way I can’t have at least the top 4 on my list. After that, I went with Nance and Houston. A big part of this will be determined by how good the next couple classes will be. I think he has potential to be the best player in the class. Even moreso than Wandale.